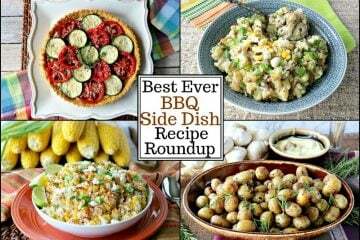 What’s your favorite BBQ side dish? Mine is probably a toss-up between the potato salad and baked beans. No. Wait. Mine is probably a toss-up between the coleslaw and pasta salad. No. Wait. Mine is probably a toss-up between the corn on the cob or the summer vegetable salad…Oh dear! I’m in such a predicament trying to choose. 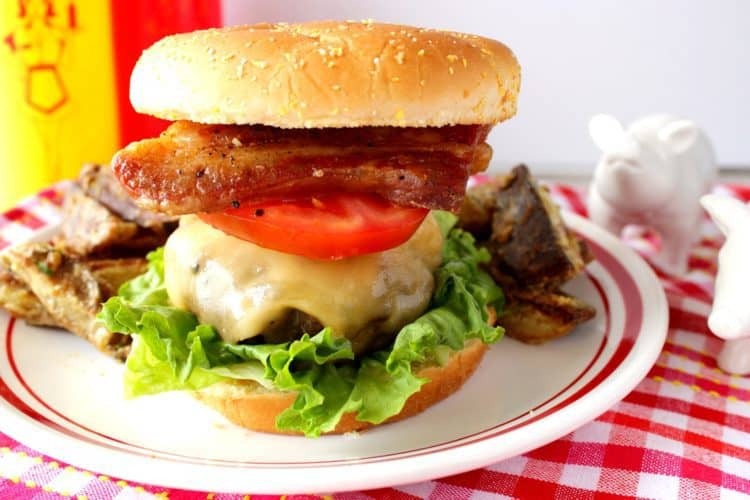 Pork Belly Burgers are kept juicy by adding grated shallots into the ground beef. They’re then grilled to perfection, topped with Gouda cheese and two thick slices of roasted pork belly! Oh, happy day! For this recipe of Bacon Roasted Fingerling Potatoes with Herbs I used the multi-colored fingerling potatoes (red, yellow and purple) that can be purchased in small bags in the produce department. If you can’t find them, or if you want to use the regular all yellow fingerling potatoes, go for it.